Ask Us About Our Monthly Memberships! Call 877-697-2673 now! Enter the address of a structure you'd like to measure. Drag the marker to identify your structure. Upload your roof plan, floor plan, and elevation plan files below. For a more accurate price and project estimate, please review and complete the information below to the best of your knowledge. The property size is set to large. *Leave blank if number is unknown and we will Scope all visible buildings (ex: detached garage, shed, etc.). *If you would like to order unique buildings only you must order each address individually. The price may change based on the actual requirements of your order. Win more bids faster and market to entire neighborhoods. Get started with a RoofScopeX* Pro Package today. Before you rush out and start jumping on doorsteps, consider the strategy that can help you secure more projects: the RoofScopeX Strategy. Download the free ebook today. *RoofScopeX reports in your selected package are for eligible orders of 1-2 buildings. The promotion does not apply to RoofScopeX orders that exceed 2 buildings. ProDocs is changing the way you do business, one click at a time! Find out why 9 out of 10 contractors have switched to using ProDocs to generate estimates for their business. Watch the most recent webinar now. Call us today to sign up or schedule a 1:1 walk-around to learn more! In the field or on the go? Your Scope is on its way! Confidence In Your Bids & Bottom Line. Our aerial roof measurement reports are drafted by expert CAD technicians and reviewed by a quality assurance professional, certifying absolute data accuracy on every report. Precision is paramount at RoofScope, and that's how we guarantee a 95% or better accuracy rate on every plane, eave, rake, ridge, hip and valley. Be confident in your bids, and submit estimates that align to your profit goals. 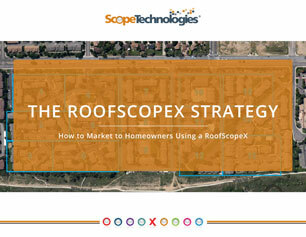 "RoofScope is the best thing ever made for a roofer. It would cost me 1/2 day, and $30 in gas to drive up there and measure it, whereas I can pull it on here and it will be done in one half of an hour." 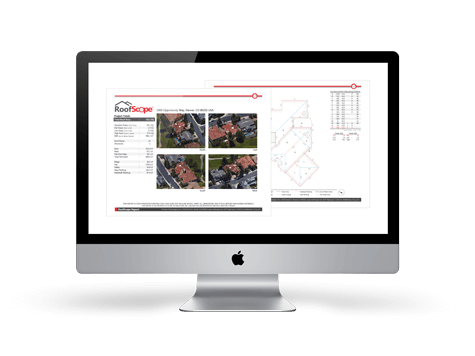 "The layout of [a RoofScope] report is quick and to the point, and has just about everything I need at a glance. I really like the Text-To-Scope feature, as I can run that and not have to be up and down on the roof. I don’t have to get up on top of steep roofs. It allows me to spend more time with the customer, without having to get sweaty and tired for our interaction." "It's a great tool for my business. My team is more efficient when using a RoofScope, and it saves us time and money as well. Keep up the good work!" "I really like how all the data is broken out. 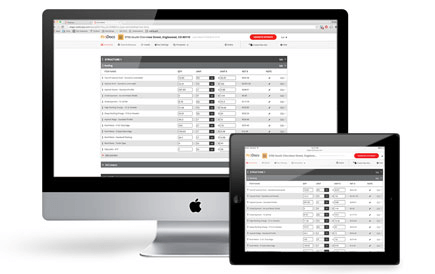 RoofScope reports are easy to read, easier than [your competitors] reports. We get more money out of our estimates because measurements are defined, and insurance adjustors really like working with us when we have these reports!"